Dolphins have always had a wide appeal for people and it is, therefore, unsurprising that dolphin tattoo designs have grown in popularity over the years. If you are considering a dolphin tattoo yourself, you might well want to look into the symbolic meanings behind these amazing creatures, and which might also explain their universal appeal, before deciding on the exact design for you. With almost forty species of dolphins, in existence all over the world, it is hardly surprising that these graceful and talented creatures are the subject of so many myths, legends and folklore. Early Christian symbolism connects dolphins with the resurrection which gives them spiritual qualities and in many cultures and mythologies they are linked with stories of creation. In Greek mythology they were said to be messengers of Poseidon, and responsible for transporting the souls of the dead to the lands of the blessed. Greeks consider it to be immoral to harm a dolphin. The Amazonians, also, considered them to be sacred creatures. Dolphins are universally regarded as man’s friend and associated with intelligence, harmony and gentleness. They offer protection in dreams, keeping the dreamer safe as well as enabling him to connect with nature and achieve spiritual awareness. Dolphins bring wisdom from the depths as well as teaching us balance and harmony. Because they are playful creatures, they remind us of the importance of play and relaxation in balancing our lives, which is something we all need reminding of in the fast-paced twenty first century. With so much symbolism surrounding these magnificent creatures, it is certainly worth looking more closely at the meanings behind dolphin tattoo designs. 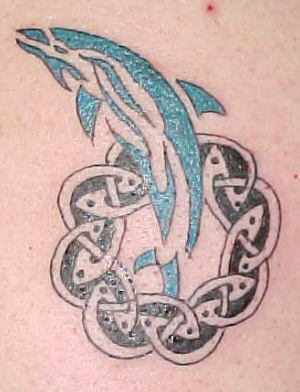 In Celtic art, dolphins are always associated with water which is known as a cleanser. It washes away the past and purifies and rejuvenates body and spirit ready for a new beginning or fresh start. 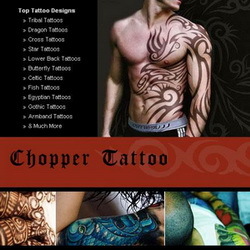 Dolphin tattoo designs could therefore signify the death or ending of one lifestyle and birth or beginning of a new one. Because dolphins are also known for their playful and free-spirited natures, the dolphin tattoo suggests optimism for this new life and new-found freedom. 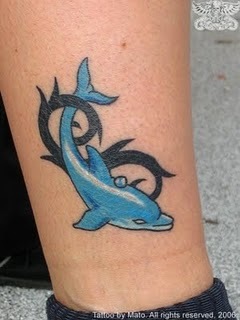 Because of their universal appeal, dolphin tattoo designs might be chosen by some because they are cute. They offend no-one and this makes them a safe design option for anyone. But dolphins are also very intelligent and this sets them apart from other animals, rather like humans. 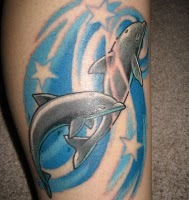 Dolphin tattoo designs could therefore express a person’s desire to connect with the animal side of their nature. It shows awareness that this aspect of nature is inherent in us all and, as such, needs to be acknowledged, rather than suppressed, if wisdom or enlightenment is to be achieved. The symbol of two dolphins is well known in Chinese philosophy to represent yin and yang. 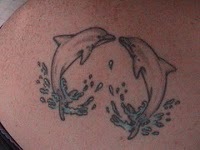 Many people opt for tattoos featuring two dolphins for this reason. Yin and yang symbolises the forces of harmony and balance in life and nature. 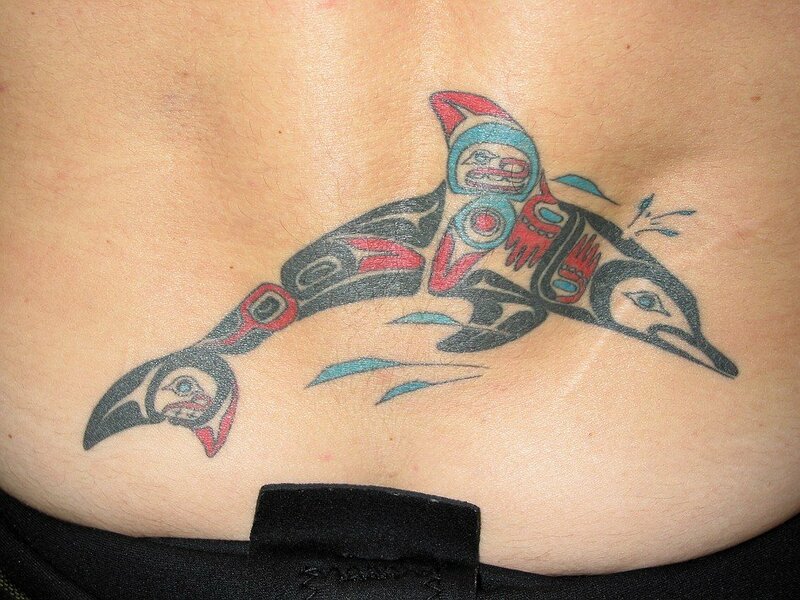 If this is the reason for your dolphin tattoo designs, who can possibly question the wisdom of your choice?